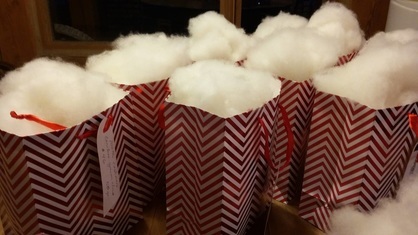 Kids from histogram and competition proven bucks and does. We offer only those weanlings that we would keep as seed stock, ourselves. Harmony Farm welcomed many beautiful, healthy baby goats in April 2019! Reserve your goats on the Sales List, now. Your position on the list will be First Deposit, First Choice, and the August deadline is nearing. Contact us by email at harmonyfarm@goldcity.net for further information. 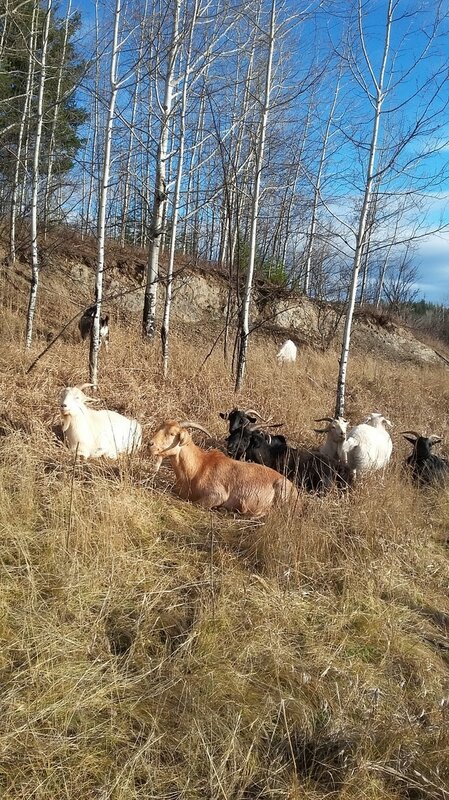 All the cashmere we offer is 100% Canadian, from healthy, happy cashmere goats on our farm. 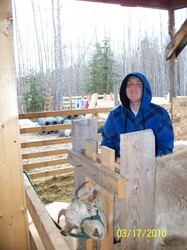 The Central Cariboo Region is particularly well-suited to cashmere-goat farming. Our winters are cold; -30 degrees Celcius is not unusual, and we enjoy relatively dry, warm summers. Cashmere, the under down, grows from approximately the summer solstice until the winter solstice (June 21st to December 21st in the Northern Hemisphere), and our goats thrive here, protected by their luxurious cashmere and a bit of shelter, provided by us, from the prevailing winds and precipitation. 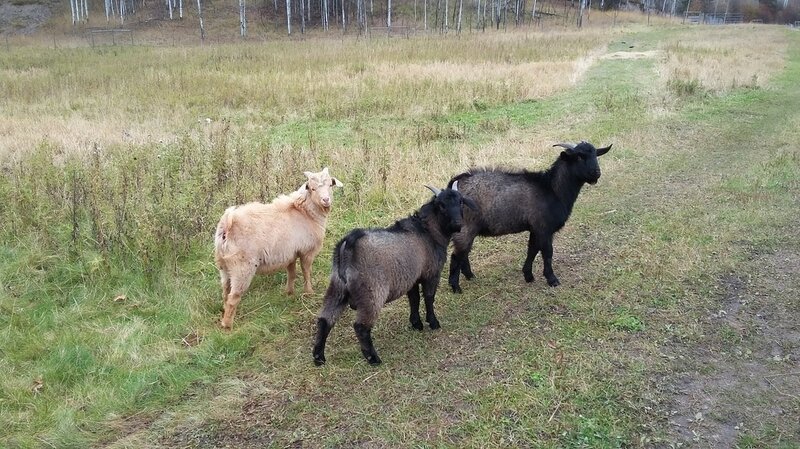 What do our Cashmere goats eat? Well, we have found that they are always crazy about willow and poplar bark. They are very choosey foragers - no, they don't eat your long johns off the clothesline, though they might take a little nibble to find out what that flappy thing is, anyways! And, Miss Itty Bitty Kitty, the farm's Peace Ambassador did suffer an inquisitive nibble of her stumpy tail, but that's another matter altogether. In winter, we provide the goats with an all-they-can-eat, good-quality hay bar, supplemented with free-choice trace minerals and salt. Nevertheless, their favorite snack in the dead of winter seems to be Christmas Trees, in whatever shape or form we offer it to them. Last winter, a huge spruce broke off at half mast out in the Back 40, and the herd filed out every day, to browse on the needles, regardless of the weather. In Springtime, before the leaves pop on the trees and before there is anything green anywere else, the goats relish the buds of cottonwoods. Maybe their collective memory knows something about Mother Nature's healthful gifts that we haven't been able to emulate or process. Here's an interesting little fact. You know those pesky Ox Eye daisies (Chrysanthemum leucanthemum) that farmers are trying to eradicate from their hayfields? Well, our goats take a daisy here, then a mouthful of something else, and yet another daisy there..... as they browse along. Chrysanthemums are the source of pyrethrum, a natural source of insecticide. about a visit to our farm, by clicking here. So, what about cashmere? Most of us don't just naturally associate that fine fibre with the goat, yet this is exactly where cashmere comes from. Goats tend to have a layer of guard fibre and a type of soft underdown. 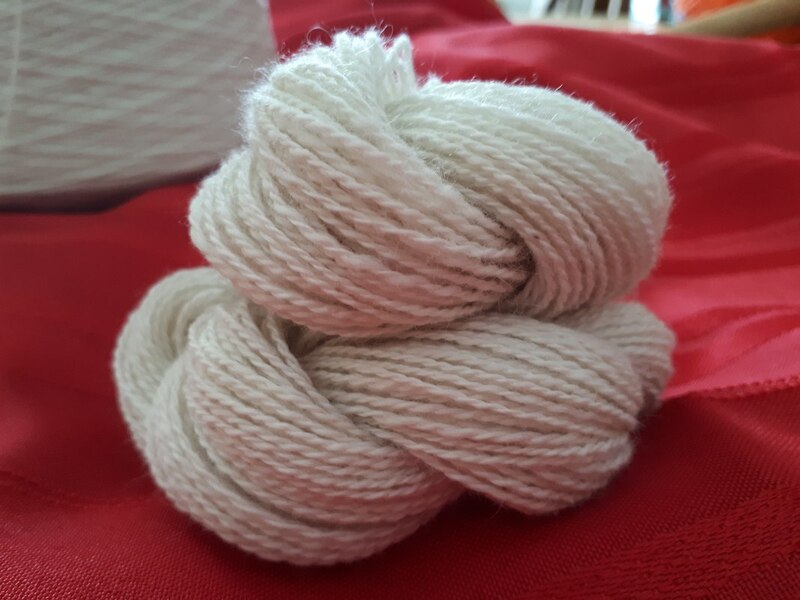 That fine underdown is Cashmere. 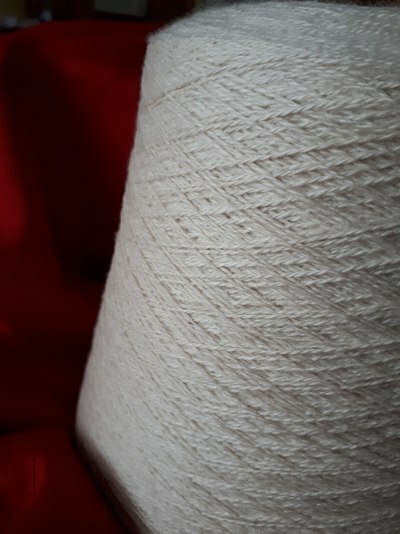 All goat breeds, except the Angora goat which has its own very special mohair fibre, produce varying quantity and quality of this fine underdown, and in fact, the goats that produce the best cashmere aren't officially a breed at all - they are a type. 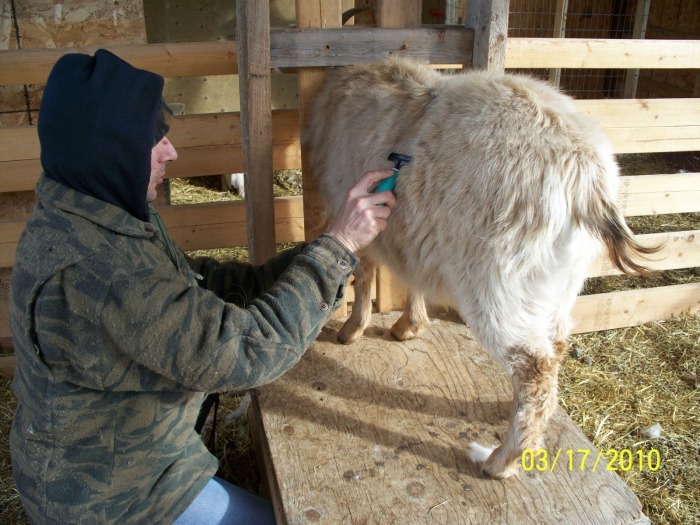 We harvest the cashmere from our goats by combing them with a dog-groomer's shedding brush in late winter early spring when the cashmere begins to shed from the goats. It's similar to a spa treatment: they get a skin massage, have their 'hair' done, are treated to a pedicure, and there's a yummy food treat. 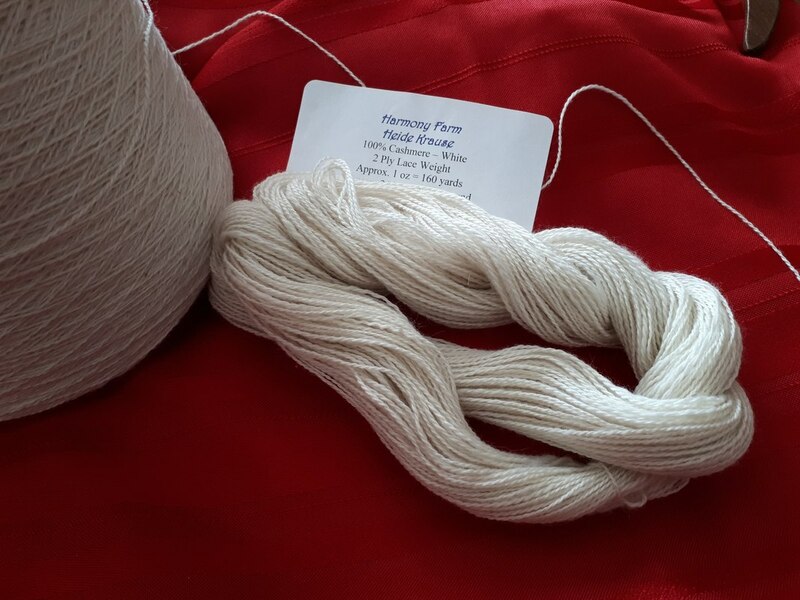 Curious to see how cashmere is combed from a goat? Take a look at the video below. 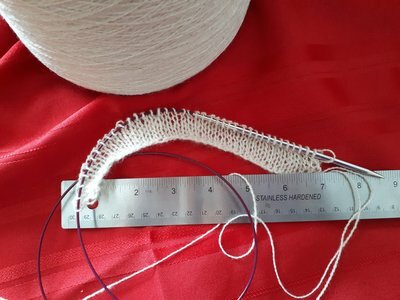 This is Part 2 of a 3-part demonstration series produced by Diane Thompson of Riversong Farm and the Canadian Cashmere Producers Association. For Parts 1, 2 and 3, click here for a link to the YouTube videos.